General Dwight David Eisenhower had never seen combat. 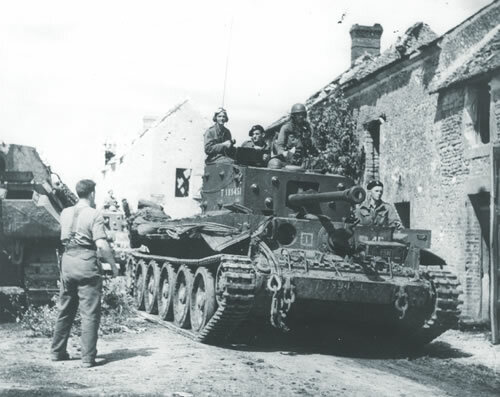 But this day in Normandy, the effects of combat and the results of the arduous Normandy campaign were plain to see. The ground was covered with dead German soldiers. They lay in the roads, charred in the burned-out hulks of their vehicles, in ditches, in fields, some bloated and blackened in the August sun. Parts of German soldiers, blasted to pieces by artillery and aerial bombs, lay everywhere. Some hung in macabre fashion from tree limbs. There were even dead horses, hundreds of them, a testimony to the German army’s inferior technology compared to that of the motor-obsessed Americans. Many of these fallen beasts of burden lay in the traces of the wagons and guns they had pulled, contorted by their death agonies. Codenamed Cobra, the plan envisioned using heavy bombers—B-17 Flying Fortresses and B-24 Liberators—to carpet-bomb a narrow corridor of the German front line. Medium bombers and fighter-bombers would also hit the area. 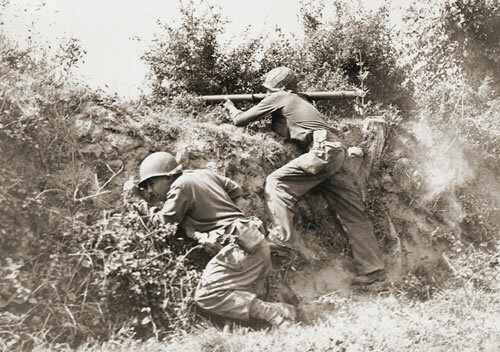 Promptly after the air strikes, a heavy concentration of US infantry and armor would assault the narrow front. In all, 15 First Army divisions were earmarked for Cobra. Once a gap had been blown in the German line, some divisions would be diverted to hold the corridor’s flanks. Then, following the vanguard of the First Army, the Third Army, under Patton, would stream through the gap and explode into open country to seize Brittany and its ports. 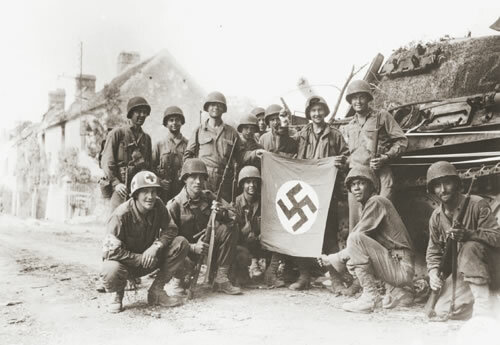 Both US armies would then constitute the 12th Army Group, under Bradley’s overall command. The Cobra air strike got off to a shaky start on July 24 as clouds closed in on the target area. Bradley called off the ground attack and ordered the air missions aborted. Some planes simply remained on the ground, but others, already en route, did not receive the abort order. Heading into the target area from north to south over friendly lines, and finding the German lines obscured by clouds, some groups held onto their bombs. Others released their ordnance. Some of the bombs fell on the German lines, but some fell on Americans, killing or wounding 150 of them. 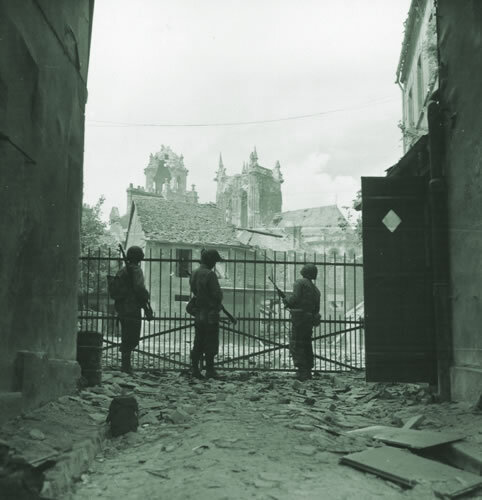 Kluge became a personal eyewitness to the ferocity of the Allied Jabos on August 15. 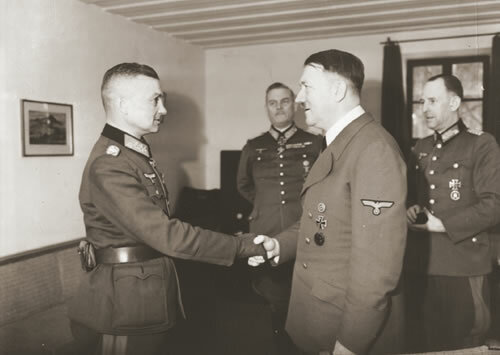 He was en route from Dietrich’s 5th Panzer Army headquarters to inspect elements of the Seventh Army and Panzer Group Eberbach when the road was attacked by flights of Allied Jabos. Kluge was obliged to spend most of the day in a ditch while the Allied fighter-bombers worked over his men and equipment on the road. The Allies had paid a price for their victory: since D-Day, 209,703 Allied soldiers had been killed, wounded, or captured—125,847 Americans. For this terrible toll the Allies and the world gained the invaluable knowledge that Germany could not end the war on its own terms. It was no longer a matter of if Germany and Nazism would fall, but when.